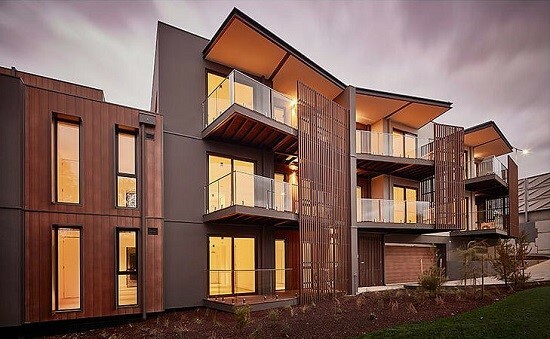 Modscape is one of the worlds premier high end modular building companies. 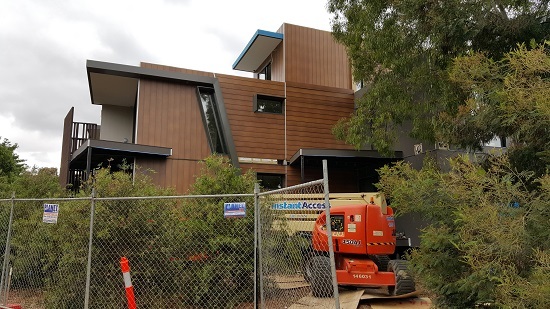 This particular example was constructed off site in just 17 weeks. Surefoot units in this case were SF150 (new model) and SF300 units. 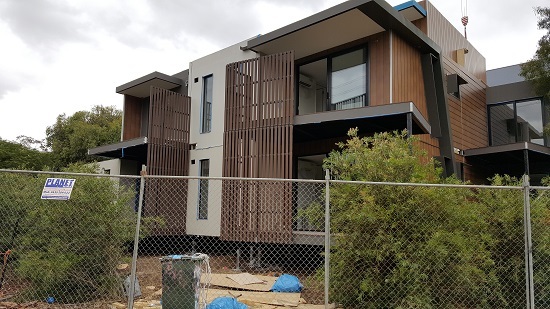 Delivery and installation on site was undertaken over the course of a week and was followed by 8 weeks onsite to complete service, landscaping and external works. Elements of the complex are 3 stories high. 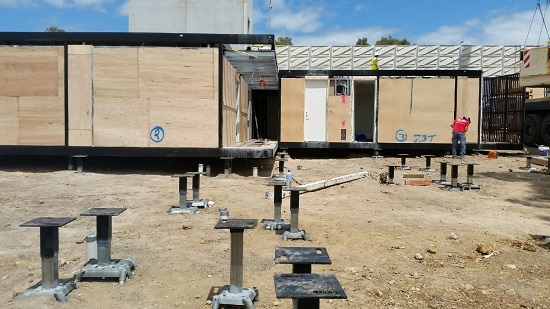 The Surefoot system has the load capacity for multiple stories in timber frame, steel frame and modern lightweight structures.